This monster mask has an oval nose, fangs, a bow, and two horns. 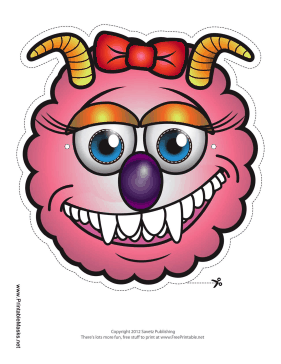 It is perfect for a girl's monster costume. This mask is free to download and print.